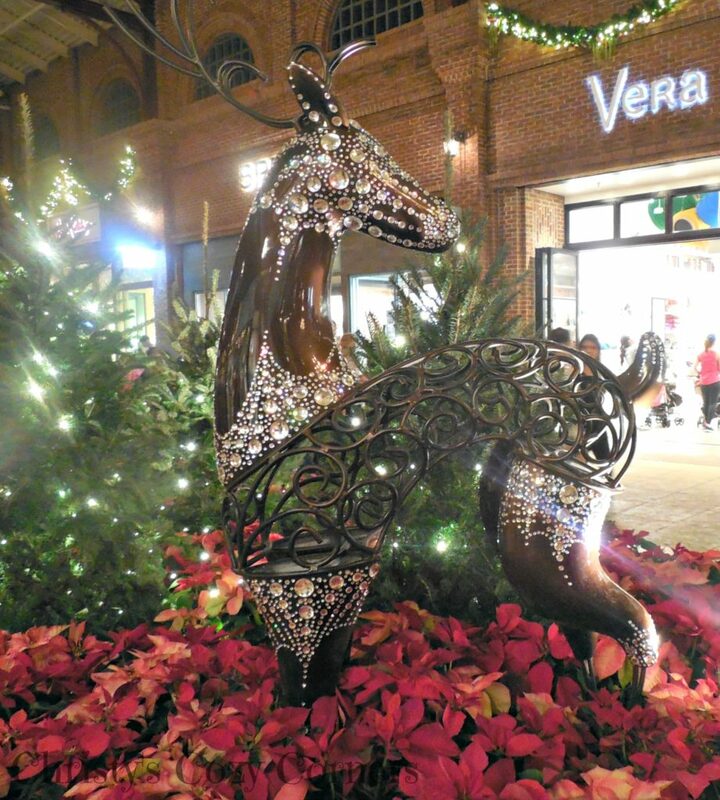 Formerly Downtown Disney, Disney Springs really knows how to do the holidays. This was our first visit since Downtown Disney became Disney Springs, and we were amazed at the change! In just three short years, they built parking garages and totally changed the feel of it. I love the parking garages! They are free and easy to navigate. Strolling through Disney Springs during the holidays really gets you in the mood for celebrating! I loved all of the new stores even though they’re really high end. It’s fun to window shop. My kids and I were so fortunate to get to see the very first Disney Springs Christmas Tree Trail! The holidays are a great time to visit Walt Disney World! 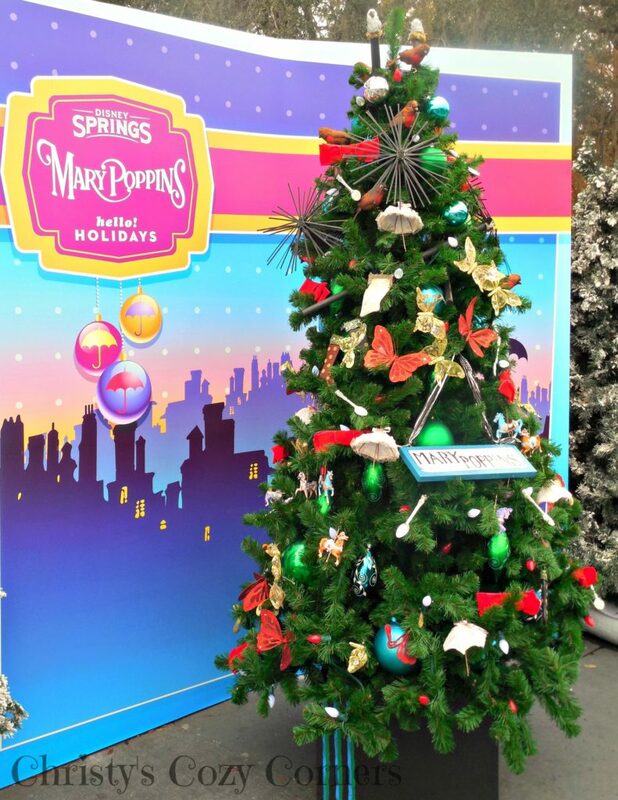 If you get to go during the holidays, be sure to visit the decked out Disney Springs. Here are some of my favorite trees from the Disney Springs Christmas Tree Trail. 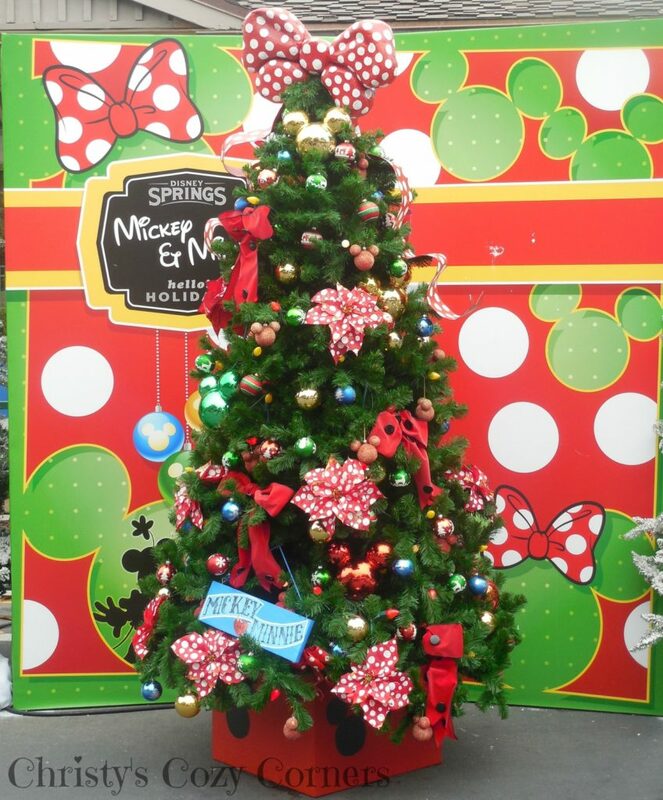 It wouldn’t be Walt Disney World without a Mickey and Minnie Christmas Tree! I love the bow on the top. All of the details on the trees were so cool! 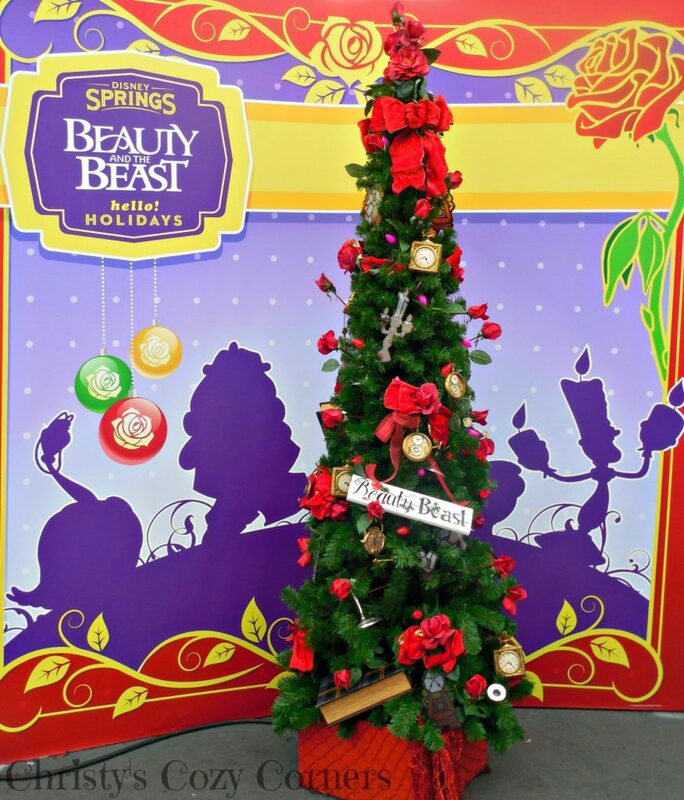 I love this Beauty and the Beast Christmas Tree with all of the roses. 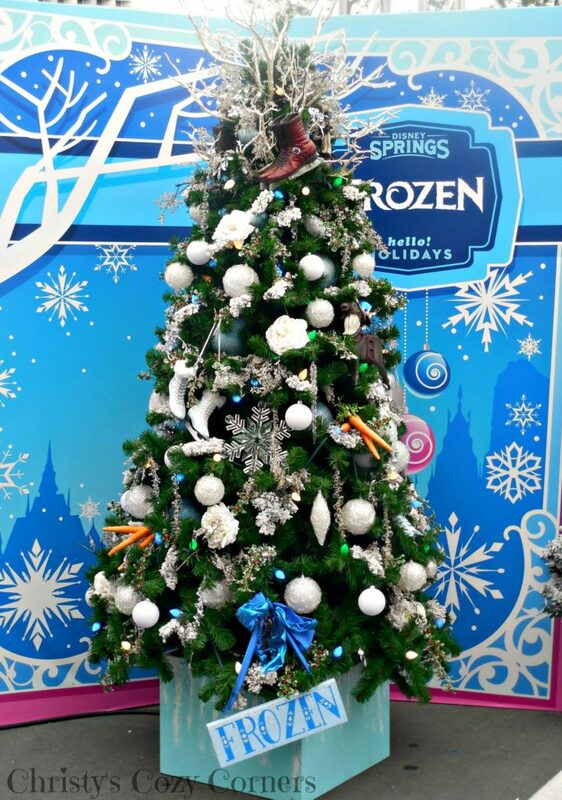 This Frozen Christmas Tree definitely makes you feel like it is winter even though it was in the 70s and 80s while we were in Florida! They had fake snow blowing around on the trail though. 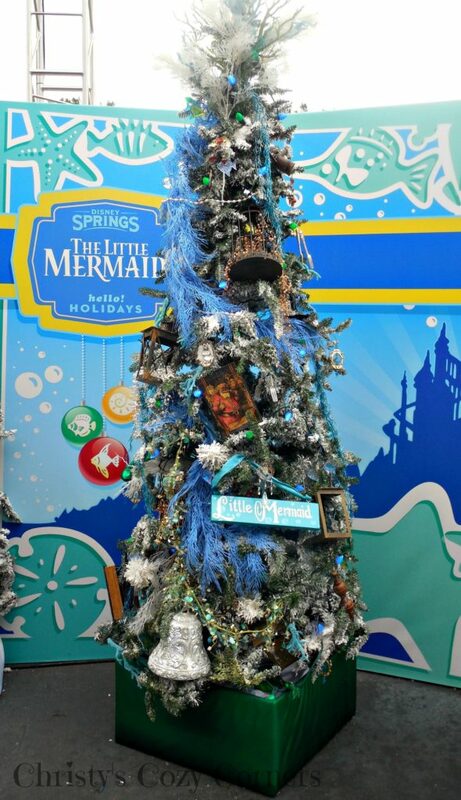 Isn’t this Christmas Tree inspired by The Little Mermaid gorgeous? It was filled with details. Can you find the dinglehopper? I’m late, I’m late, for a very important date! It’s a good thing the White Rabbit’s pocket watch is there for him. 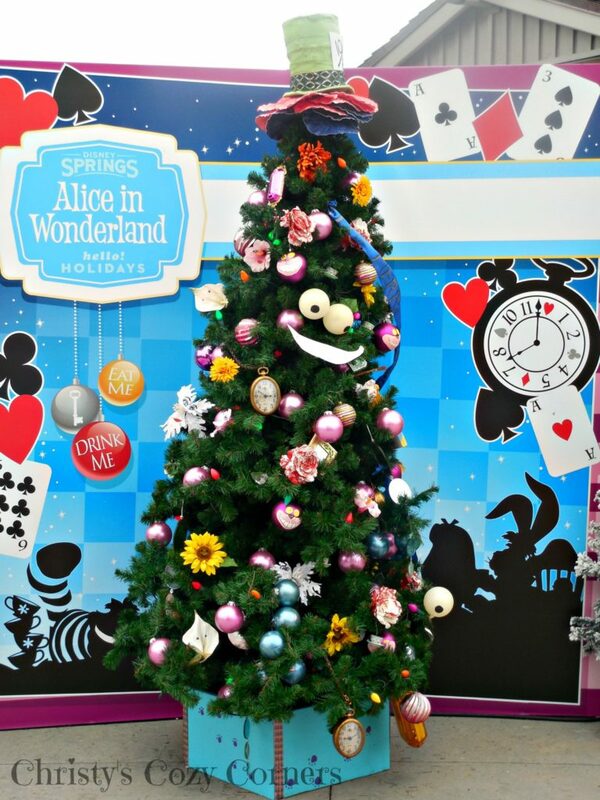 Of course, the tree is topped with the Mad Hatter’s hat! Mary Poppins is one of my favorite Disney movies! This tree was adorable! It has spoonfuls of sugar and carousel horses and little umbrellas. Though the holidays are a busy time at Walt Disney World, we really were fortunate enough to go on a day when it wasn’t too crazy! If you’re going to Disney Springs, it is better to go in the early afternoon because it is less crowded. It is beautiful at night, but it was crowded! It’s hard to see everything in one day, so you might want to go one evening and one afternoon to get both experiences! Most of all, have fun! Thanks for giving me a little taste of what it was like to be there. I would LOVE to go see this! How fun! I love that they had fake blowing snow while the weather was warm. That’s the best of both worlds! I love all the themed Christmas Trees! Were there any movies that you’d wished they’d created trees for? Thanks for taking us with you. Yes, I wished there was one for Peter Pan!